We’ve all seen her: The female jogger gracefully bounding through the neighborhood early on a Saturday morning. But what makes her get up so early on the weekend to put her running shoes on? The simple answer is that she has successfully moved from the need to exercise and into the mysterious land where she actually wants to. We all possess the ability to tap into that place and learn to love exercise – in fact, you’ve had it all along. Exercise professionals refer to it as the ‘fun factor’, whereby if you enjoy doing something, then it stops being and chore and you’ll want to do it more. Here, we explain how to change your exercise mentality and find out how to love exercise rather than hating it. 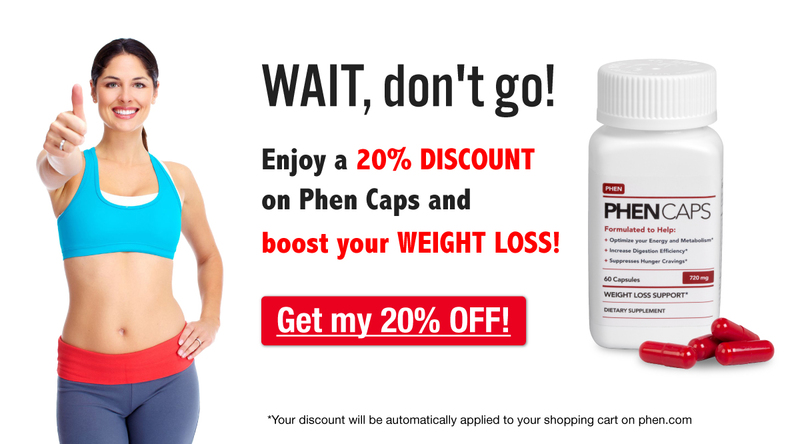 While you’re on your weight loss journey with phentermine, reaching and maintaining your ideal weight is your main goal, and exercise can represent a part of that success. However, learning to love exercise is an entirely separate goal. Researchers have found that women who cite weight loss as their primary motivation for exercise actually work out less than those who cite other reasons. And forget the vague and slightly too long-term motivation of ‘health’; the worry of having a heart attack when you’re 60 isn’t enough to motivate you out of bed on a Saturday morning. Many women hate to work out because we’ve been taught to do it for the wrong reasons, where no pain means no gain and it’s all about what we should be doing rather than being motivated to find something we love doing. There are two ways to increase the fun in your workout and start to love exercise: minimize monotony and maximize enjoyment, which means holding back on checking your heart rate or concerning yourself with aerobic thresholds, and forget all about calories, too. Start by exploring the things you loved to do as a kid, things that were naturally athletic but seemed more like play at the time. Children don’t ride bikes, swim, run or go rollerblading to burn calories, or lose weight, or so that they don’t get diabetes, they do them because they’re fun and they love the feeling of freedom, and of being able release their energy and to feel the elements against their body. Researchers even say that engaging in fun physical activities has a stress-reducing component that goes beyond ordinary exercise. So, not only are you far more likely to enjoy and stick to pleasurable exercise, it’s actually better for you than something which may burn more calories but isn’t as much fun. However, only you can define ‘fun’ for you. If you like group activities, then try volleyball, a running club or soccer, if you want to be outside with nature, then consider trekking or mountain biking, or if you love exercise classes then there are lots to choose from, whether it’s zumba, aerobics, yoga or body pump, there’s something for everyone. These are just a few of the possibilities – the key is to investigate, experiment and try a variety of different activities. When you find one you genuinely enjoy, you’ll know it, as you’ll want to keep doing it as you will have reached the magical place where you actually love exercise. And remember, no activity is more or less worthy than another, so don’t think that your friend is better than you since she’s running and you’re doing yoga – if you enjoy it and you’re engaging in some kind of activity, then you’re both achieving exercise success. People who successfully maintain a workout regimen and successfully learn to love exercise do so as they are able to shift their focus from distant, external outcomes, like losing weight, to positive, internal experiences in the here and now. They become intrinsic exercisers, who do exercise for its own sake, achieving total absorption in their chosen activity. However, setting clear goals is still important, but rather than focusing on achieving an endpoint, it’s the process of achieving that is important. While you are working out, learn to gauge the feedback that your mind and body provide so you are aware of your progress during exercise, keeping you connected to what your body is doing and how it’s feeling. Balance perceived challenge and skill, monitor your movements and continuously assess any progress you make; whether it’s improvements in technique, speed, skill, strength or just in how you feel while you’re exercising, learn to listen to your body and mind. The key to continuing your enjoyment and interest is to always feel challenged, but to a level where success is possible – if you’re challenging yourself beyond your skill level, then you will become frustrated and this will become a reason to avoid exercise. Starting to exercise regularly cultivates your lifelong relationship with movement, and only you can decide what that looks like day to day. Discovering how to love exercise will shift your mentality away from feeling like you have to exercise to realizing you actually want to. Similarly, when you’re unable to exercise on a day when you typically would, feelings of guilt will subside and instead, you’re feel disappointment at missing your usual workout. Exercise is something that you will want to fit into a busy day, not something that is forgotten due to a hectic schedule. If you want to exercise regularly, not because you feel you have to, but really want to, then you need to start working from the inside out. As you begin to exercise for the inner rewards of the activity itself, just like the Saturday morning jogger, you’ll find yourself exercising because you want to and not because you have to, and you will know how great it feels to love exercise. Have you found an exercise you love doing? Let us know by commenting below!